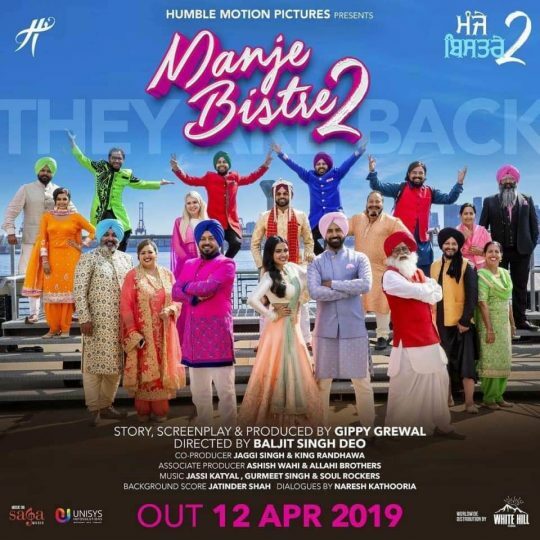 The trailer of the much talked about film Manje Bistre 2’s has just dropped in today, and it’s a laugh riot! The plethora of Punjabi artists on one screen, once again, a feast to the eyes. The makers have released the trailer on the official YouTube channel of Saga Music, and within no time it has become the talk of the town. The audiences are going gaga over this, and are showering the artists, and the entire team with positive comments. The film has already gained a lot of popularity, amongst netizens, with the release of the film’s title track, and second track ‘Current’. The social media is flooded with short dance videos, and dialogues of the film.